Laser vein treatment is the most effective method of erasing veins on the face. Lasers deliver precise dosages of energy to each vein, with minimal risk to the surrounding skin. 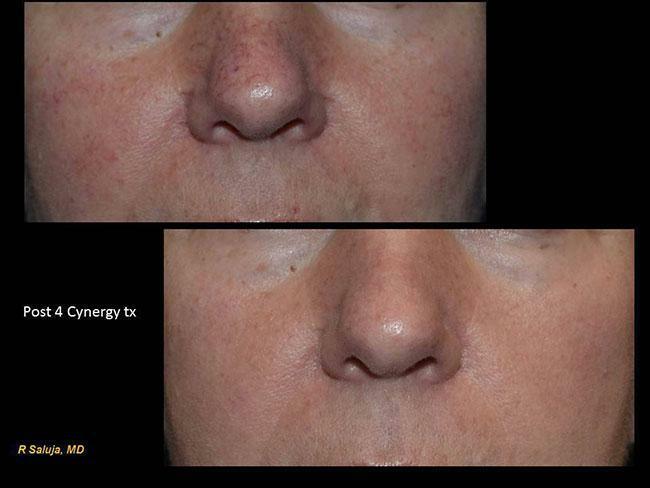 During the treatment, light energy is focused through a special handpiece to the targeted vein. This energy is then absorbed by the blood vessels. The heat and energy absorption causes the blood vessel to clot, after which they are slowly absorbed by the body. Uses the gold standard pulsed dye laser to target vessels on the face or small spider vessels on the legs. Larger vessels can be targeted with the Nd:YAG laser and the laser platform also has the ability to combine both wavelengths at once. What Can I Expect from a Laser Vein Treatment in Charlotte, NC? Laser vein treatment sessions can take anywhere from 5 to 45 minutes depending on the area that needs treatment. The number of laser vein treatments required to achieve optimal results can vary based on several factors, including the size and depth of the vein. Usually, multiple treatments (two to five) are required to produce pleasing results. Optimal results can be maintained if patients apply sunscreen to the treated area and avoid excessive sun exposure. Over time, it is possible for new veins to grow in, but these can also be treated and erased. How Do the Unwanted Veins Treated by Laser Vein Treatment Form? Several factors contribute to the development of facial veins, including heredity, sun exposure, oral contraceptives, hormone therapy, or the aging process. 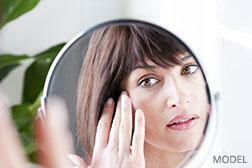 Facial veins can also be related to rosacea, another treatable skin condition. Spider veins are very small and usually red or blue in color. They are much closer to the surface than varicose veins. They can look like a thin red line, tree branches, or a spider web. Spider veins can be found on the legs or face, and may cover a small or large area. There is minimal discomfort following a laser vein treatment, which many patients compare to the snapping of a rubber band. In some cases, patients may experience swelling, redness, or bruising (purpura), and the skin might feel tender for a few days. However, applying ice to the treated area can help to minimize swelling and inflammation. Dr. Raminder Saluja will answer any questions regarding pre and post care during your consultation.